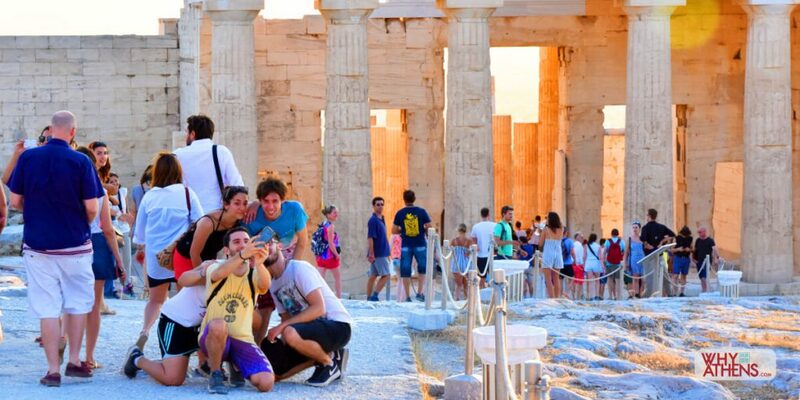 The selfie phenomenon is in full swing in Athens at all the major sites around town. There’s really no better way to boost your social media cred than with the “look where I am” selfie, to make your friends and family back home that tiny bit envious. 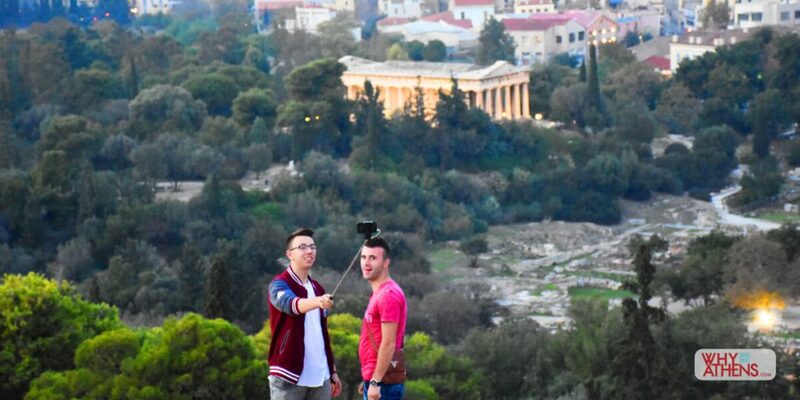 So get your selfies sticks at the ready, here are the best spots to capture yourself (and Athens’ major attractions). 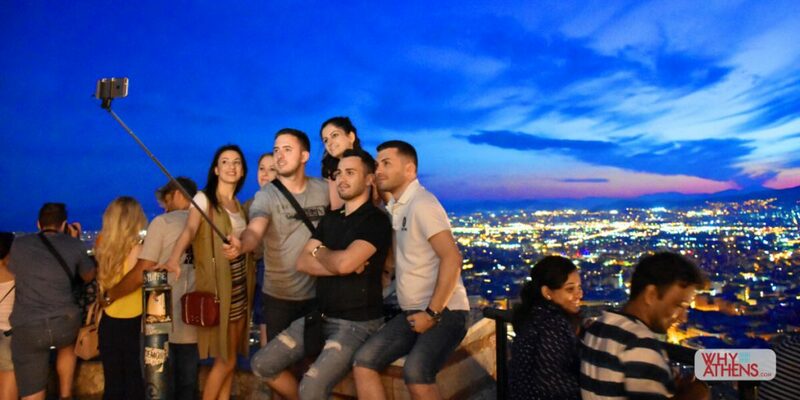 Day or night, Areopagus Hill with its expansive views over Athens and the Ancient Agora, makes it the ideal selfie spot. 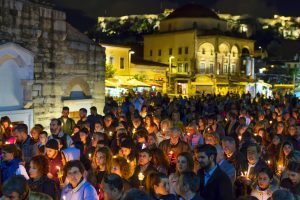 The hill itself is rich in history and was where the Council of the Areopagus (nobleman of exceptional character) operated as a court of law primarily for cases relating to murder and other serious crimes in the new Athenian democracy of the 4th century BC. 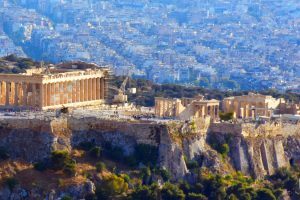 In the year 51AD, the Apostle Paul delivered his ‘Speech of the Unknown God’ on Areopagus Hill where he converted his first Athenian nobleman, Dionysius the Areopagite, to Christianity. 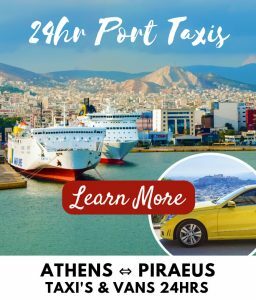 Standing 277 meters above sea level, Lycabettus Hill is the highest point of Athens and perhaps the most popular look out point in Athens. 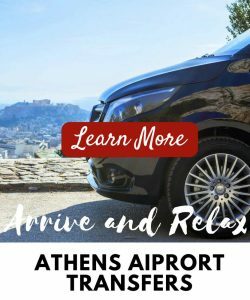 The view from the top is most popular at sunset, as the lights come on over the Acropolis, Temple of Olympian Zeus, Panathenaic Stadium and Ancient Agora with the Aegean Sea in the distance. 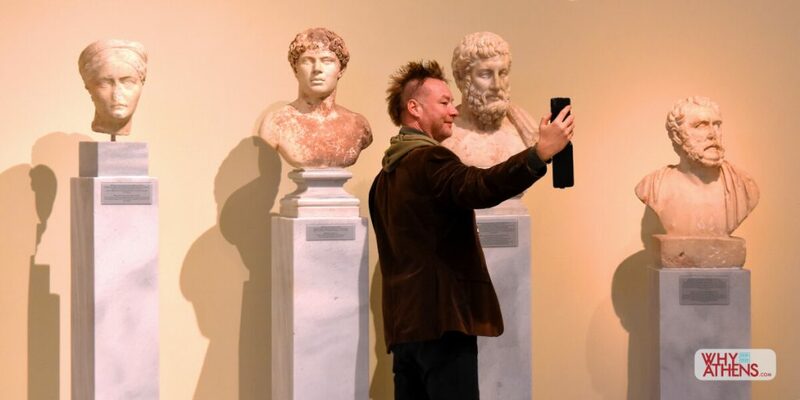 There’s nothing like the marble bust of a philosopher like Metrodoros to inspire a selfie as seen here in the gallery of the ‘Adopted Emperors’ at the National Archaeological Museum. Metrodoros influenced artistry for centuries and this marble sculpture is an impressive one thousand years old. 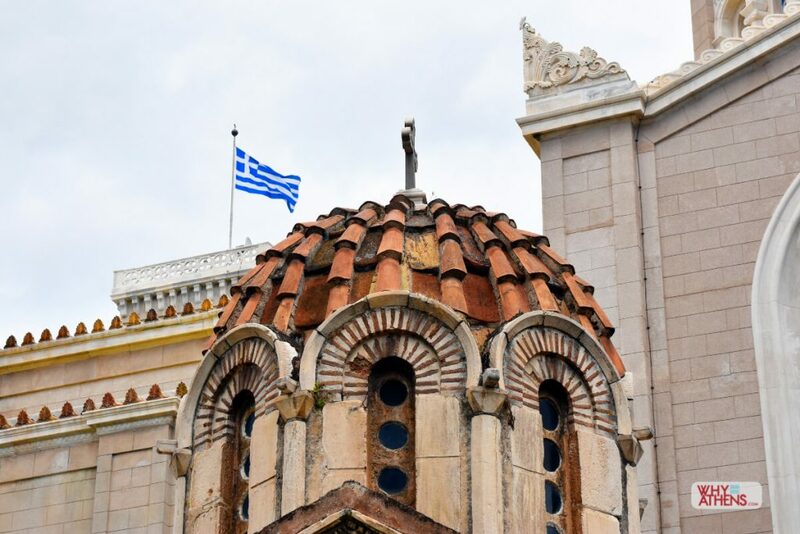 As you make your way up to the Acropolis, this viewing platform is one of the best and most popular in Athens. It looks down over the spectacular Odeon of Herodes Atticus, the Roman style theatre that was built between 160-170AD by Herodes Atticus as tribute to his late wife Rigilla. 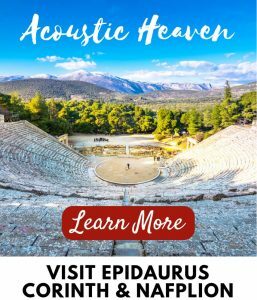 Situated on the southwest slope beneath the Acropolis, the theatre hosts many performances as part of the Athens and Epidaurus Festival held every summer. 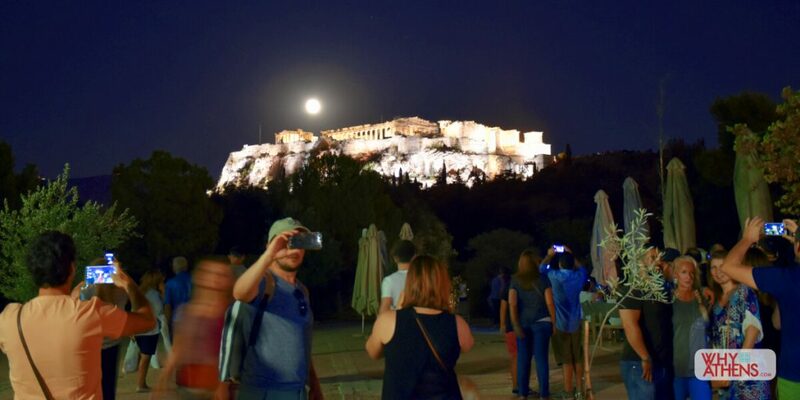 The glow of the moon over the Acropolis is magical as you wonder around the pedestrianised areas of Thissio, where you will be able to capture it rising behind the Parthenon. 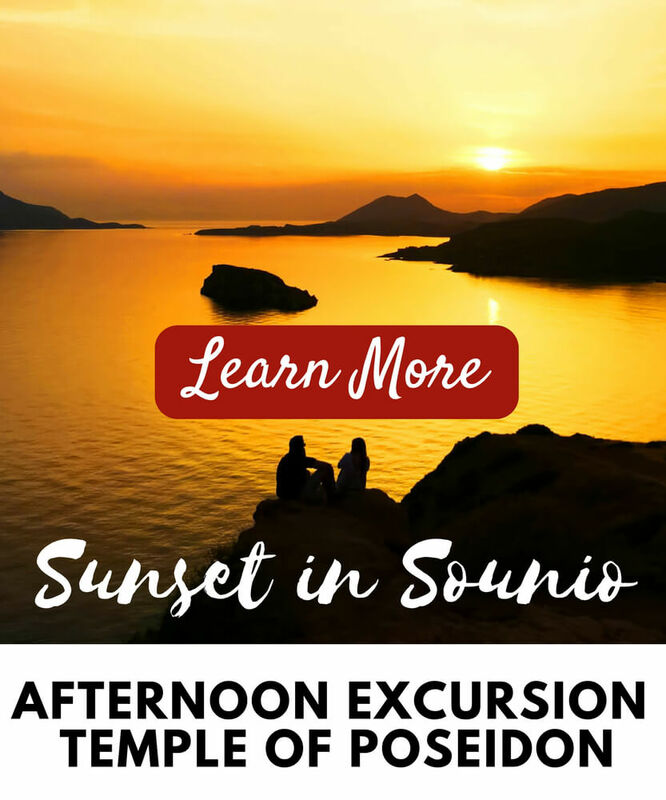 The summer full moon in August is particularly impressive if you’re lucky enough to be visiting on those special lunar days. 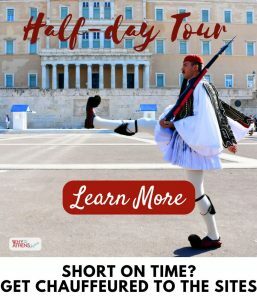 Visiting the Panathenaic Stadium in central Athens, will evoke feelings of joy and amazement not only because it was the location of the first modern Olympic Games in 1896, or that the Olympic Flame originates from here but also because the stadium itself is impressive, constructed entirely of marble. 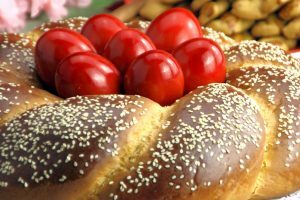 Although refurbished in the late 1800’s, the site dates back to 330BC when the Great Panathenaea (Panathenaic Games) were held here in honour of the goddess Athena. 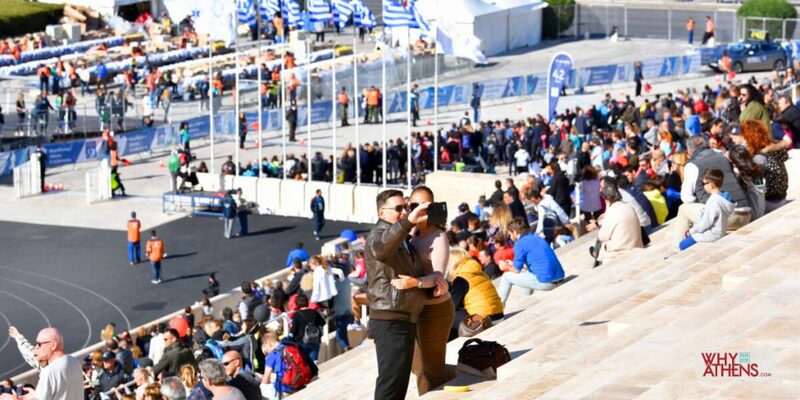 Today you can still jog in the stadium every morning between 7.30-9.00am, take a tour during the day or watch one of the many events that occur here including the Athens Marathon which sees athletes run into the stadium to the finishing line from the town of Marathon. 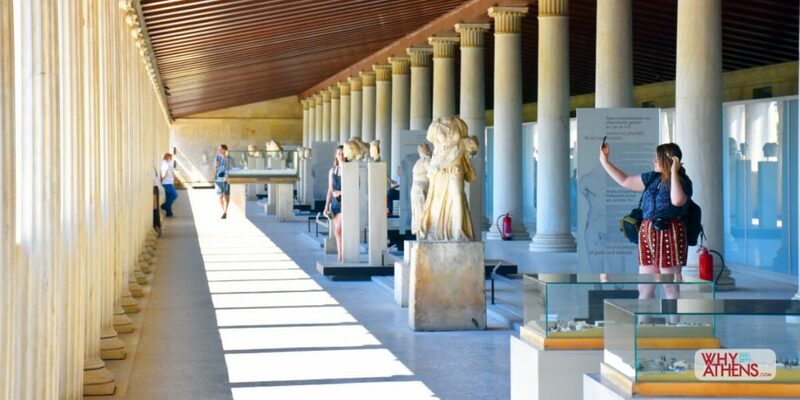 The artefacts displayed on the second floor of the Stoa of Attalos represent works which would have adorned the Ancient Agora during the Hellenistic period (from 3rd century BC). 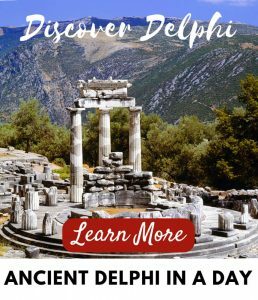 You can picture yourself with many of the marble sculptures of gods and mortals that we associate Ancient Greece with today. The Stoa was built and named after King Attalos II of Pergamon who ruled between 159bc and 139bc. 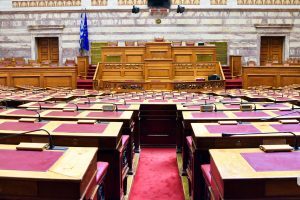 The Stoa is 115 metres long and is constructed from Pentelic marble. The building was destroyed in 267ad and faithfully reconstructed to its original form in the mid 1950’s with funding provided by the famed Rockefeller family. 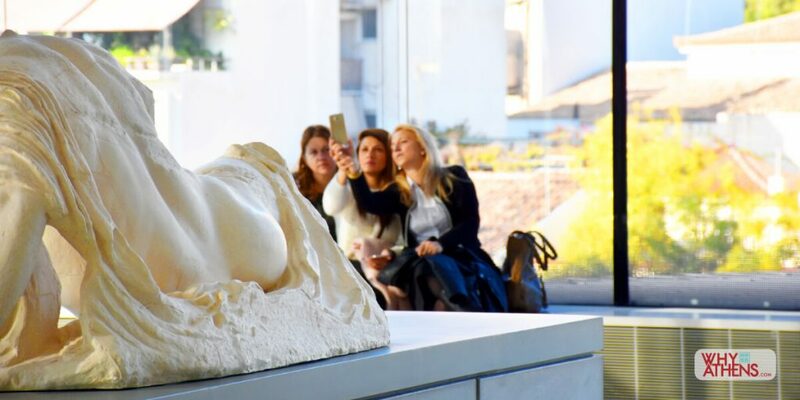 The top floor of the Acropolis Museum is special and if you’re clever with your “selfie” shots, you’ll be able to capture the Parthenon in the background with the reflection of the marble metopes. 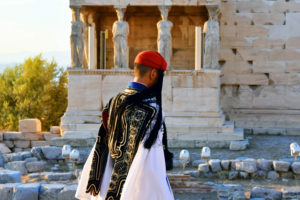 Pictured here is the rear of a monument from the west frieze of the Parthenon and the view out the window looks up to the Acropolis itself making it a perfect selfie moment. Last but no least is the Acropolis itself. 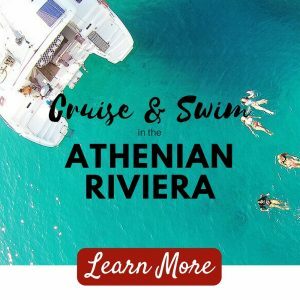 Nothing can prepare you for the sense of wonder, thrill and anticipation you experience when climbing the Acropolis for the first time. 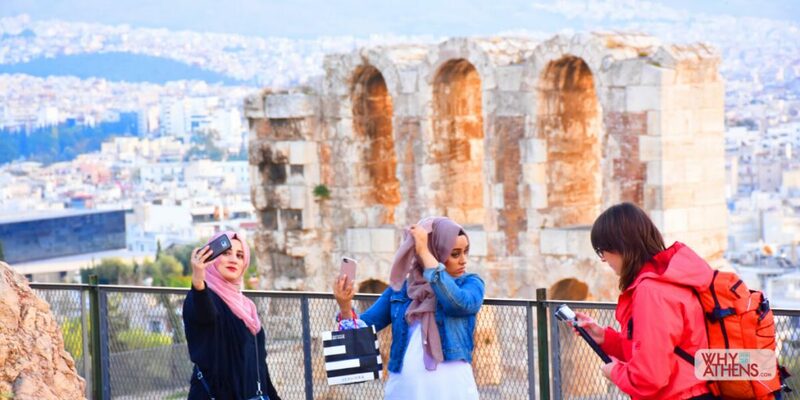 Anywhere in the ancient city of the Acropolis is ideal for a selfie. The naturally fortified site has inspired architecture and modern civilisation and will forever be the birthplace of democracy. 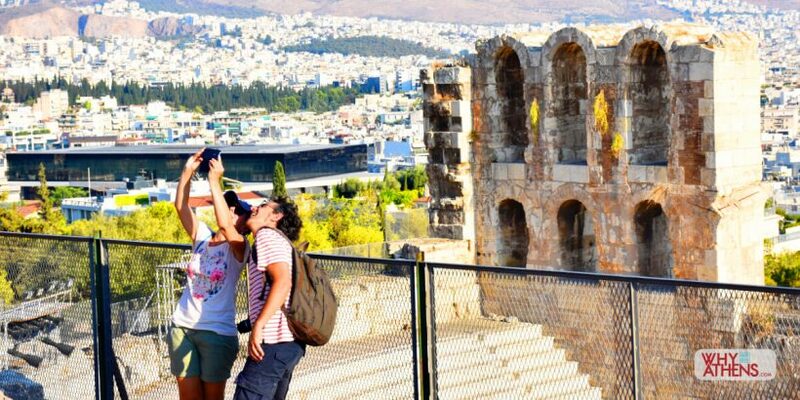 You won’t find a better selfie opportunity in Athens. Find more great photo stories in Athens here.